The Botkier for Target bags are live on Target.com, a few days early, I believe (and based on the reviews, it appears they've been trickling into the stores too). 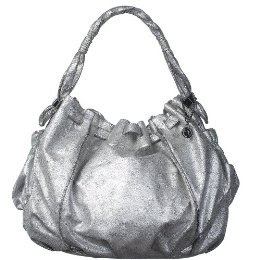 Reviews are mixed so far, but I think the cracked metallic bags, like this silver one, are probably the best bet. I will most likely take a pass on the collection, but I am looking forward to the Richard Chai Go International line, due to drop August 3rd.